This entry was posted in 9/11, Books, Conspiracy Theories and tagged books, conspiracy theory, David Icke, Illuminati, New World Order. Bookmark the permalink. It wasn’t bad! He at least can laugh at himself and the stuff he writes about, and acknowledges that it all sounds insane. To be fair after we talked some about Icke’s book you and I both got side lined by the fact (and you agreed)that we are creatures of many fascinating similarities between the average Minnesotan humanoid and cold-blooded vertebrate Reptilia. (cover your ears Lutherans of Lake Wobegon) I reserve the right to comment on your analysis until I read more spotty parts of Icke’s book. 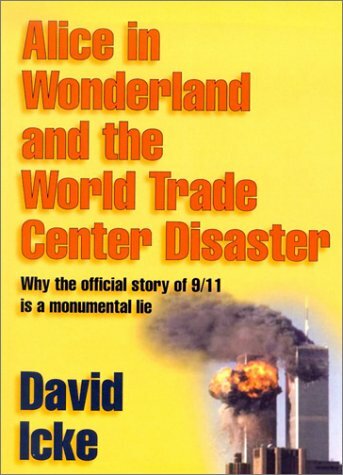 I do love the layout of his book so far and agree mostly on his research regarding 911 being as an inside job..naturally. I like your final book report though, well written and enjoyable to read, but don’t give up on Icke yet…love ya! Icke’s premise is that the Reptilians covertly took over centuries ago, and that we’ve been their slaves throughout our history. Sweet dreams. Haha. I know. It was just alittle ditty that came into my head. Based on the song “Monkeys Are Bad People” :http://www.juniorscienceclub.com/loganarchive/lyrics/electrostatic.htmlSorry for the levity. heh. Nice blog. One of the few I actually read!! !